The popular NOLS Cookery is now available in a portable, sturdy edition that's perfect to pack into the backcountry. The field edition includes essential nutrition and cooking techniques and favorite NOLS recipes carefully chosen and all field tested. 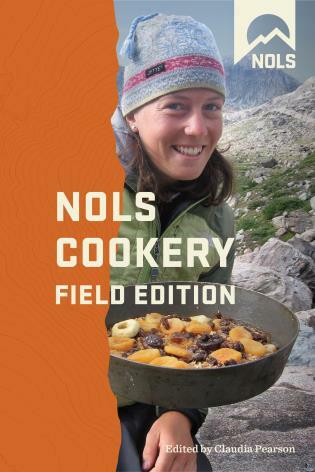 NOLS recipes and trustworthy culinary advice are guaranteed to please the palate and provide the energy needed for strenuous outdoor activity. Claudia Pearson is rations manager for the National Outdoor Leadership School's Rocky Mountain Branch in Lander, Wyoming. The National Outdoor Leadership School is the leading educational organization for outdoor skills and leadership and offers courses in the world's most spectacular wilderness classrooms.